Fireside Logic News - Alienware M11x gets overseas Core i3 / i5 / i7 and NVIDIA Optimus update, US version due tomorrow? 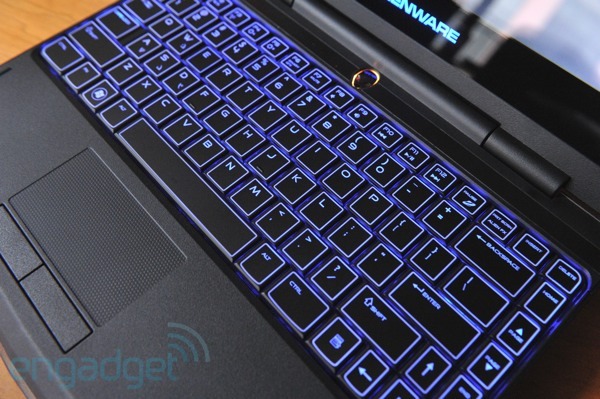 Alienware M11x gets overseas Core i3 / i5 / i7 and NVIDIA Optimus update, US version due tomorrow? We've been hearing about an impending CPU update to Alienware's M11x for some time now, and now Dell Malaysia has quietly updated its website with options to order the revised not-quite-netbook. So what's new? Well, there's NVIDIA Optimus for starters, and the Intel Core 2 Duo processor has been thanked for its time and shown the door in lieu of Core i3, i5, and i7 CPUs on a QS57 chipset. Prices start at RM 3,699, or about $1,110 in US bills. Speaking of which, while Dell's US site has yet to update, we've seen what's purported to be some internal documentation that pinpoints the official stateside launch for the revised M11x as tomorrow (technically, it's already Tuesday in Malaysia). No confirmation yet, but hey, it'd make for a pretty nice pre-E3 gift. All of this, a 256GB SSD, and a backlit keyboard... hard to resist!